2017 has been a good year for my building. Looking back in this blog’s archives at some of my creations from the beginning of the year in preparation for this post, I’ve been amazed at how far my building technique has come in only a year. My photography seems to be improving as well, with the use of card backgrounds, less blurriness and a slightly more professional touch. I still use the same 7-year-old digital camera (which might need an upgrade as it has about the same pixel resolution as my mobile phone) and I could do with a better approach to lighting, but my earlier pre-background build photos look very strange to me now. Anywho, I thought it would be fun to do a sort of retrospective as my final post of the year, picking out my personal favourites among my builds of 2017. The usual disclaimers apply. This is my personal list of favourites, and I’m using a fairly idiosyncratic set of choice criteria. These are not necessarily those builds that are technically most innovative or most complex. I’m sure I’ll miss some builds that other people remember with fondness; I did have a hard time restricting the list to just 10. My other difficulty was ranking them. Some of the relative ranking of these builds is completely arbitrary, and there are several models in joint eleventh and twelfth place that could easily have made the list and didn’t; among these are the Beagle space rover, the steampunk SHIP Dark Pegasus and the Blacktron A’Tuin-class dropship. Other Honourable Mentions: the Ice Cruiser Zycon-IX and the Starfleet Voyager 2.0. On the list are two dragons, two other creatures, four spaceships and two mechs, which is a fair summary of my building style right there. You might have to be an AFOL to fully appreciate the nostalgia value of this, but I’m still quite proud of my work on this. 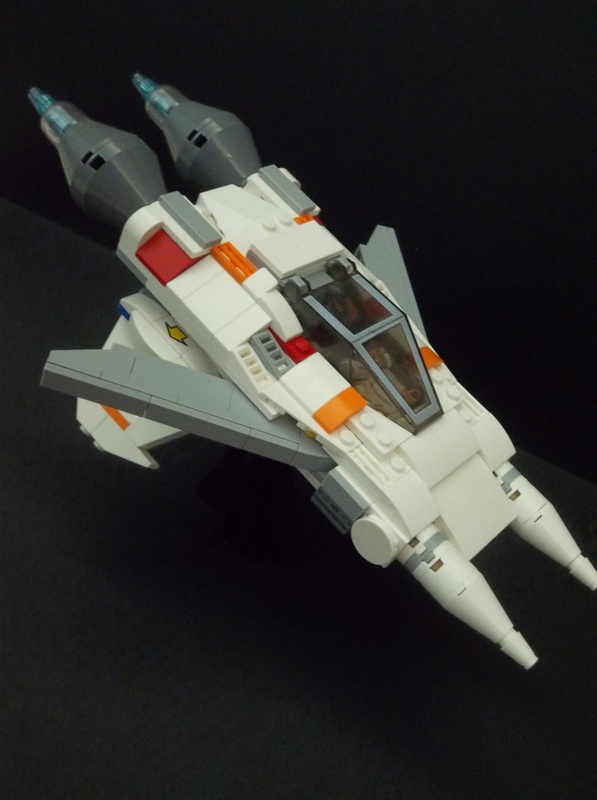 Incorporating minor Technic functionality (something I stink at), this LEGO version of the iconic fighter from the early 1980s’ Buck Rogers in the 25th Century represents one of only a handful of times I tried to produce a LEGO model of a spaceship someone else designed. Among a selection of models that did or could have won a place in this list, the Thunderfighter’s Technic functionality shut out the A’Tuin-class Blacktron dropship with its complex hexagonal construction to come in at number 10. While neither of my two SHIPs made the Top 10 list, two of my sub-SHIP large space vessels did. Both my first SHIP Liberator and to a lesser extent Dark Pegasus suffered from being overextended and a little contrived in order to meet the 100-stud base requirement of SHIPhood. When I forget about the 100-stud limit and just concentrate on having fun building a large model I seem to end up with a better class of product. The Thunderbolt was more primitive in technique than my other large spaceship on this list, but I do like the way it looks. And that humungous dinosaur-killer railgun on the front seems perfectly suited to the Blacktron. I was actually amazed to discover that it was this year that I built this thing, as it seems like it was ages and ages ago. Nonetheless, there it is in the January 2017 Archives, and it just had to make the list. I had unreasonable amounts of fun with building this, combining as it does two of my favourite things to build: dragons and Neoclassic Space. I still love the whole concept of a Classic Space dragon, and it might be fun to reprise the idea with the more advanced building techniques I use these days almost a year later. It’s the unremarkable technique on this, in fact, that means it’s stuck at no. 8, though I considered it my best model for a considerable part of the year and it’s still one of my lifetime favourites. Pulling out all the stops in built-figure modeling, my recent centaur edges out the Classic Space elemental dragon by virtue of superior technique and the way it’s proportioned. 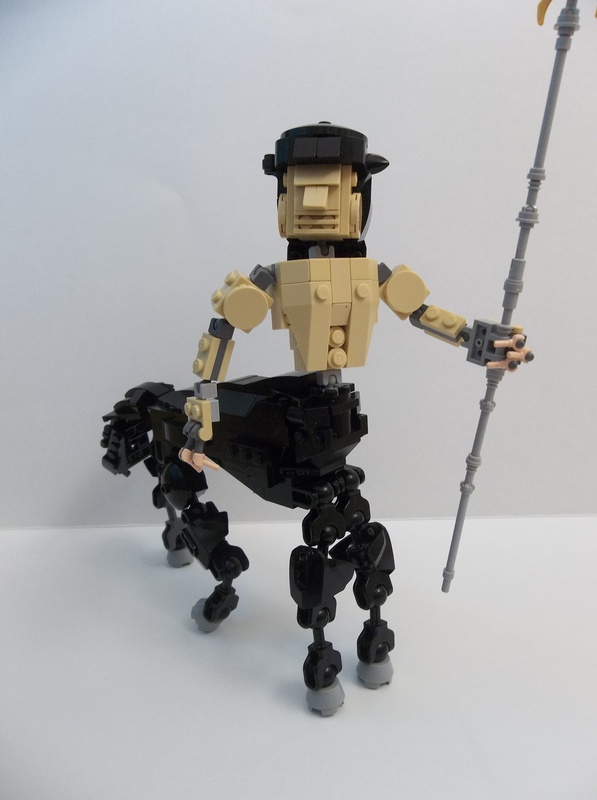 Centaurs are challenging no matter how you build them, and I flatter myself that this might be one of the better ones at this scale. It even has a suggestion of abs. 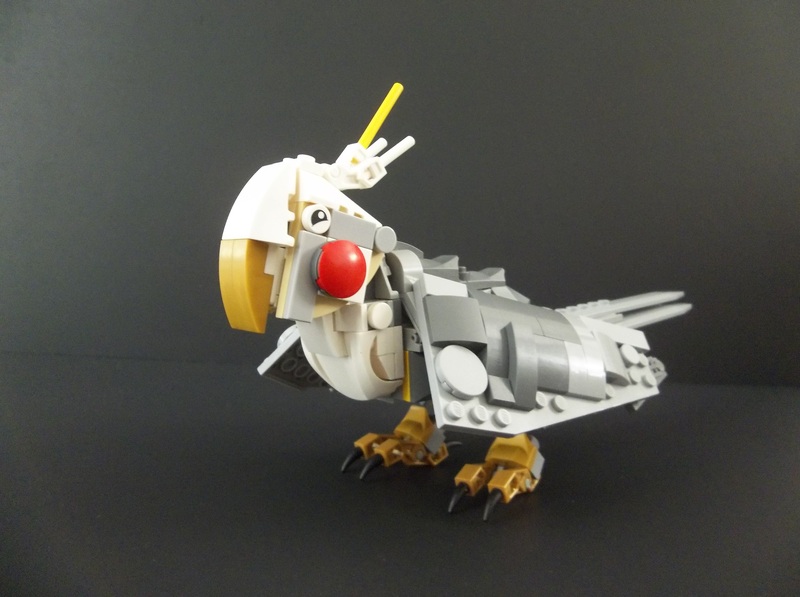 Easily winning the “Longest I’ve kept a model in existence before breaking it up for parts” award, my LEGO cockatiel lasted almost a full two months on the current-model display shelves. Cockatiels aren’t a common subject matter for building, if the all-seeing Eye of SauronGoogle is to be believed, and I was pleased with how this turned out, even if it was a little more fragile and a little less poseable than I’d really have liked. Completely different to my usual run of overgunned Blacktron cruisers and ferocious mythical creatures, but a lot of fun to build. Our real-life cockatiel was a bit freaked out by it, though. 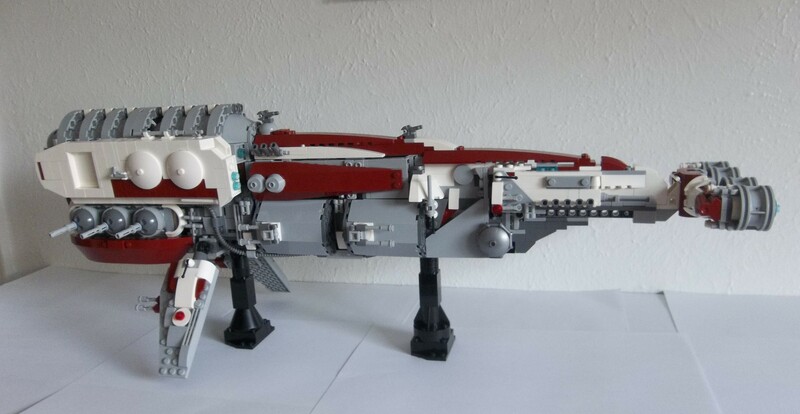 Highest-placing large (50+ stud length) ship on the list, the Spacewhale is a mere 24 inches long: practically a minnow next to the 37 3/4 inches of a 100-stud official SHIP. It’s by far my most complex and advanced sub-SHIP, though, with proper internal framing, a pleasing shape, a unifying colour scheme and lots of interesting details. And it marked my first ever construction shots and multiple-day build, something I still find difficult to do. April’s The Ninja and the Dragon was one of the first times I paid almost as much attention to building the scenery as I did to building the model itself. 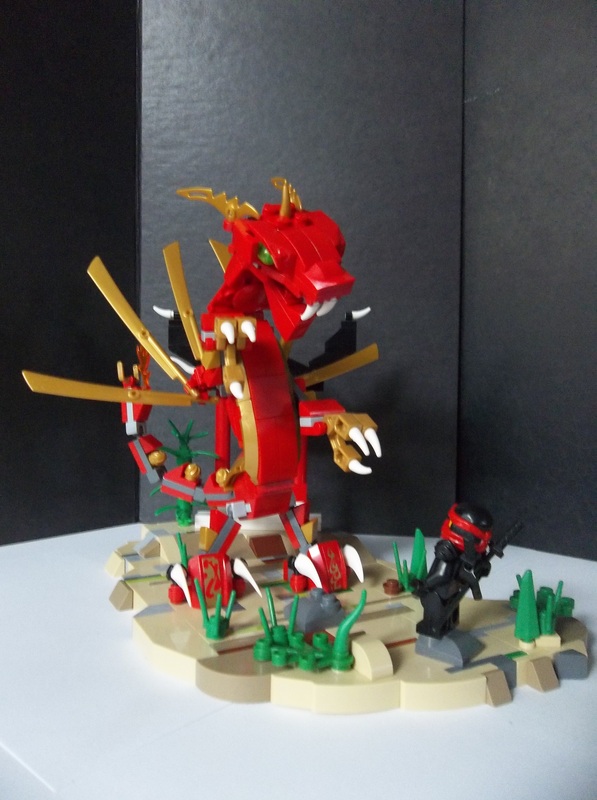 Along with the fact that this has an upright-posed Eastern-style dragon (both less common than the alternatives), I think it’s the subtleties that really make this build. There’s a story there, and for once I’m not going ahead and telling it; the model works all the better for the lack of having its meaning tied down. 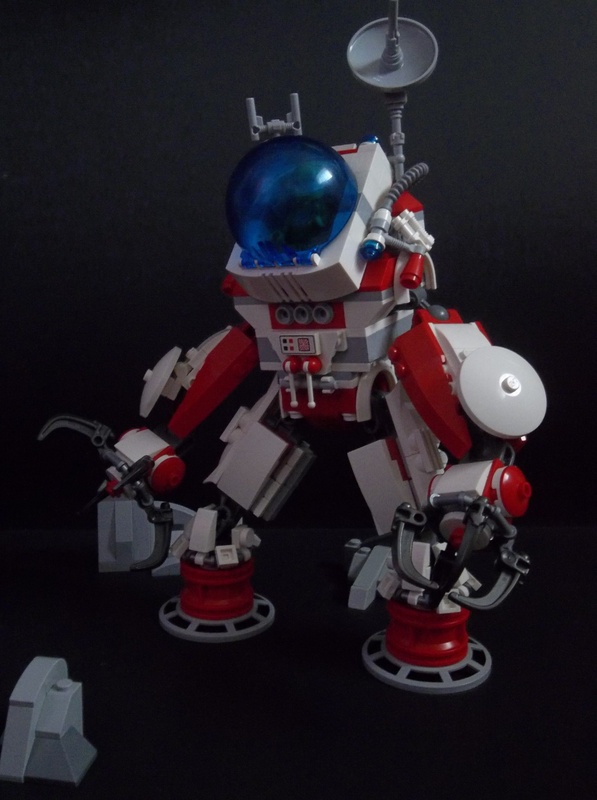 One of my first explorations of LEGO-as-art as well as LEGO-as-a-hobby, this comes in at number 4. Part of the attraction of Classic Space, apart from the nostalgia of it, is its innocence and everyone-getting-along spirit, and I tried hard to capture that in this build. Definitely the build on this list with the most overt “message”, it still works as a model because the message is subordinate to the build, which works on its own terms. 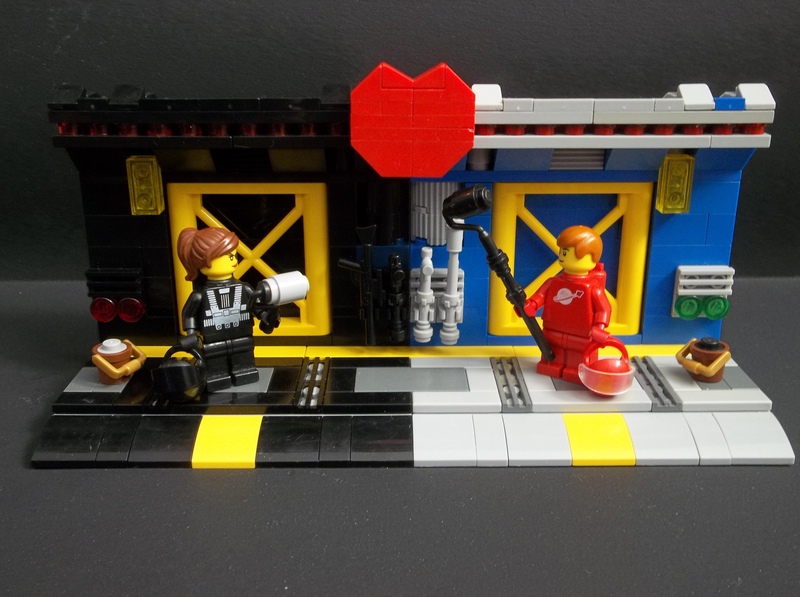 I still find the idea of a Blacktron and a Classic Space astronaut falling in love charming, and the way they are getting ready to repaint their own section of the corridor in each other’s colours adds a nice layer of subtle message to the build. It’s also my highest-placed scenery build and the only model on this list that doesn’t involve some kind of vehicle or creature (Minifigures don’t count). “What? Nothing steampunk made the list?” I hear you cry. 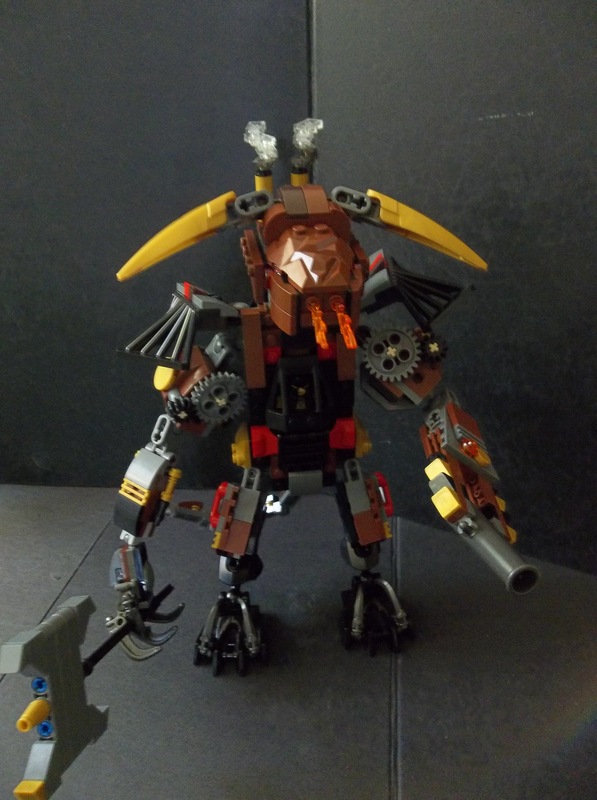 Well, at number 2 we have my birth month’s steampunk mecha-Minotaur, without which the list would definitely be missing something. If I’d built a better Theseus battlesuit to go along with it this might have made number 1, but the unfortunately leggy and slightly messy Theseus suit dragged this down. That and the fact that the balljoints in its legs wouldn’t support the weight of the body to allow me to pose the Mechnotaur fully. I still love the concept behind this, and as far as story potential goes it’s the Mechnotaur that takes the number one spot. It’s a minotaur. It’s a mech. And it’s steampunk. What more could you want? Number 1 is last month’s Q-Mech, from my self-invented Classic Space universe rescue service Q-Tron. Advanced techniques in the cockpit shield attachment, enough greebling to look functional without being overwhelming, an original concept… This model has almost everything in it that I like. And it’s space. And it’s a mech. Given the amount of people that have pinned this since I shared it on Pinterest, other people seem to favour it as well. Mind you, they also like the Isstrebitel’-1 and my model of the Vostok space capsule, and those are considerably further down my personal list. The Q-Mech has since been broken up for parts, of course, but it’s still my favourite of my builds of 2017, and probably of all time (so far). My next build, however, will hopefully eclipse the Q-Mech and really show what I can do. The answer to “what’s your best build?” is nearly always “the next one”, after all. And that’s the full list. I’ve provided links to the original posts (the titles) so you can trip with me down Memory Lane. It’s been a good year for building, and a whole new year of possibilities is just around the corner. Who knows what I’ll be looking back on this time next year? 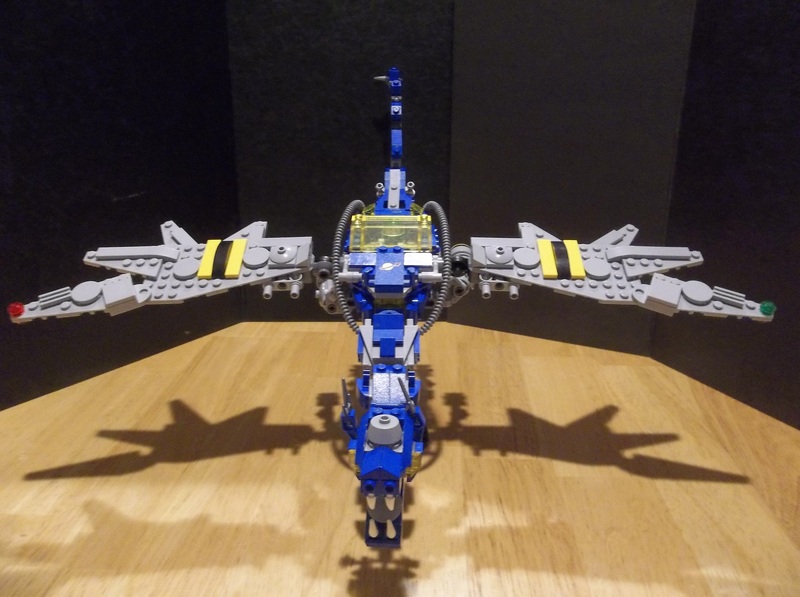 This entry was posted in Seasonal, Uncategorized and tagged Lego, Lego building, MOC, Retropective on December 30, 2017 by geoffhorswood. A lovely list! You’ve really made some epic stuff this year, man! Also, I had no idea you were on Pinterest; any chance of getting a link to that? Good builds! Can’t pick a favorite.